Often gates are simply treated as a necessity and not the practical fencing solution they can be. 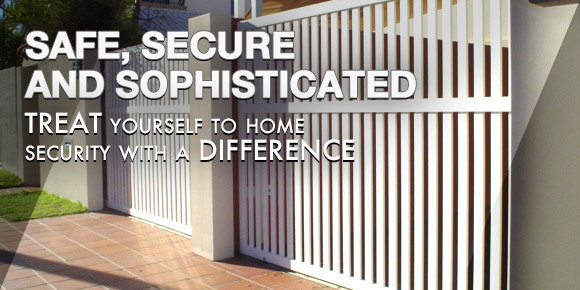 FenceCorp has a great range of stylish and practical gates from large driveway gates to smaller pedestrian and electric gates. Driveway Gates can be made as a feature to the front of your home to enhance the look and feel of your front lawn, giving an overall sense of home security and presence. Gates: 50 x 50 x 3mm wall thickness top and bottom rails with 19mm round vertical tube. Sliding Gates: 100 x 50 x 3mm wall thickness bottom rail. Single Swing and Double Swing. Sliding Gates or Bi Parting Gates. Please refer to our product codes below (coloured in red) when making an enquiry on specific styles. 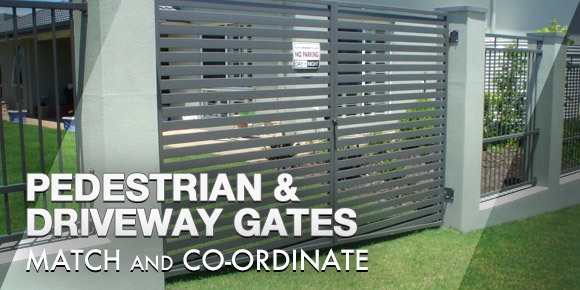 Electric gates come with both sliding or swinging motors are available and both supplied and installed in surrounding Brisbane Metro areas only. Size and type of motors will be determined by the size and weight of the specific electric gates requirements. 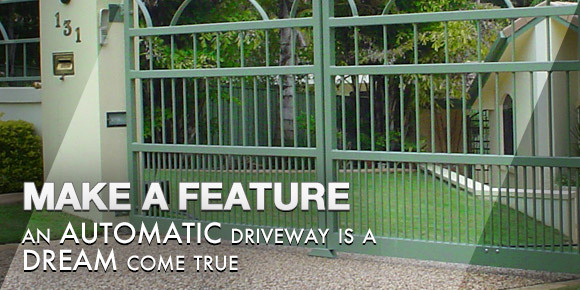 FencCorp automatic gates have the options to be applied to new or existing gates, so if you've ever felt like you deserve an upgrade, now's the time to act! Pedestrian gates compliment your fences or driveway gate perfectly, and offers both security and accessibility to your home. Gate frames are used for attaching traditional horizontal or vertical timber slatts to a gate. This an effective solution and creates a great wooden look to match your existing home. The gate frame itself is manufactured in heavy walled aluminium and powdercoated in your desired colour. *Steel manufacture available on request.